Nefeli was baptized in the Holy Church of Agios Ioannis in Artemida, in a fantastic little chapel overlooking the sea. 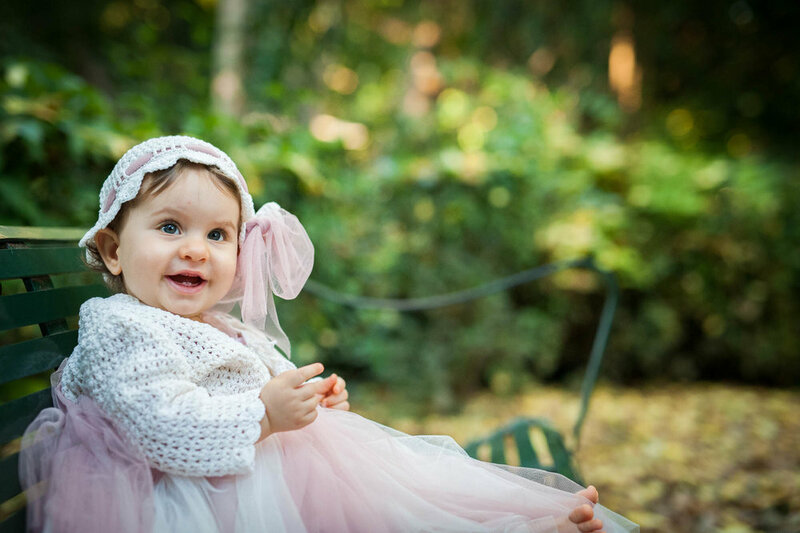 The pink and ivory flowers that decorated it was harmoniously tied to the landscape, and Nefeli won our hearts with her smile. 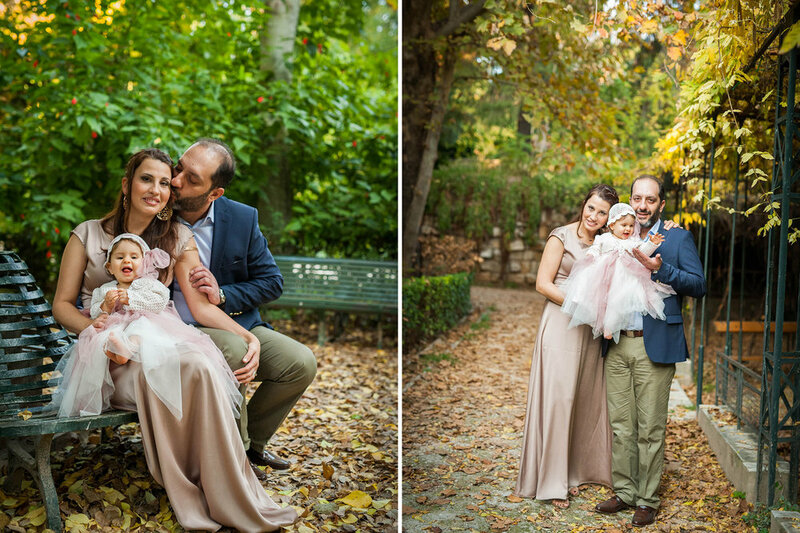 We chose to do the next day's shoot in the amazing national garden and fill her photo album with even more images.